The default is the 'timeline' view, which will show only the jobs assigned to you in a list. 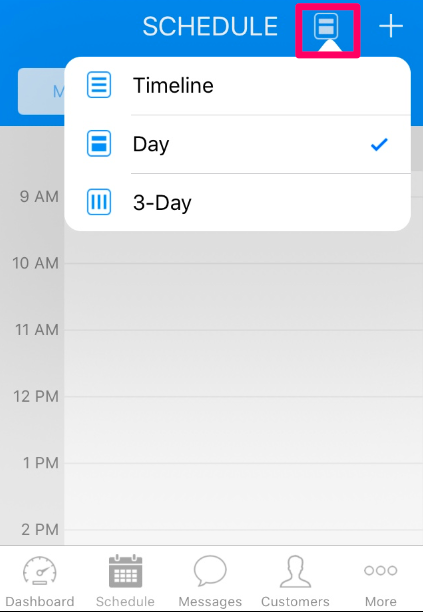 To change to a calendar view, click the stack of three lines toward the top right of your screen. A drop down menu will appear, giving you the option to select a one-day or three-day view of the calendar. After you have selected either the one-day or three-day option, you can choose if you want to see only your own calendar or the company schedule.